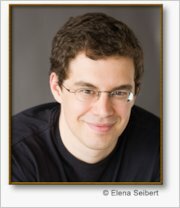 Christopher Paolini was born in Southern California and lived most of his life in Paradise Valley, Montana with his parents and younger sister, Angela. The tall, jagged Beartooth Mountains that rise on one side of Paradise Valley inspired the fantastic scenery in Eragon, the first novel in his Inheritance cycle. Christopher was educated at home by his parents. His abiding love of fantasy and science fiction inspired him to begin writing his debut novel, Eragon, when he graduated from high school at fifteen. He became a New York Times bestselling author at nineteen. His second book Eldest was published in 2005, followed by Brisingr in 2008. Together the first three books in the series have sold 25 million copies worldwide. Inheritance, the fourth and final book in the cycle will be published on November 8, 2011.